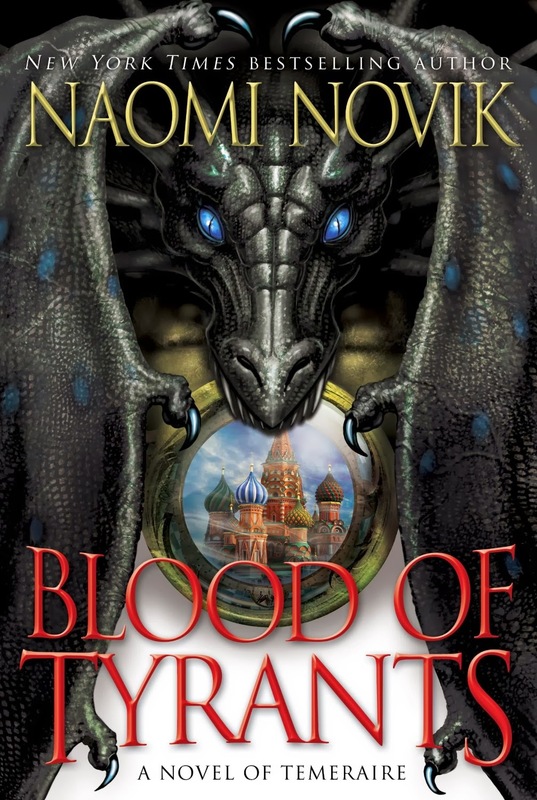 On July 29, 2014, the mass market paperback edition of the eighth Temeraire book by Naomi Novik entitled Blood of Tyrants will hit books stores. But a greater news still is that the title of the ninth book in the series has already been revealed. But don't get too excited because according to some sources this will also be the last book in the series! Blood of Tyrants, the most recent Temeraire book. The ninth book in the Temeraire series will be called League of Dragons and it is slated for a 2015 release. this has been revealed during the author's interview with Shawn Speakman. But don't be sad, because an entirely new stand alone novel is also coming our way. Here is a portion of her interview at Suvudu. Shawn Speakman: When can we expect the final book in the Temeraire series? Does it have a tentative title? And what else are you working on? Naomi Novik: The final volume of the Temeraire series will be called League of Dragons, and it is tentatively slated for early 2015 — I hope people will forgive me for the long wait! I’m also writing a completely different standalone novel called Dragon Born, which is set in a fantasy world inspired by the Kingdom of Poland, which despite the title has nothing to do with the Temeraire series! I’m having an enormously fun time writing it. Another interview over Lytherus confirms the preceding information. I’ve heard that this new book is the second to last of the series. Is that correct? And if so, do you have plans for what comes next? Naomi Novik: Yes, the next book will the ninth and last. It is probably going to be called League of Dragons, and she’s finished the detailed outline. She also has another book, Dragon Born in process but it has nothing to do with Temeraire. She has struggled a bit over whether that’s a good title since it might create an expectation of being connected with her other books. But right now the story wants to keep that title. This will definitely be a hard closing experience for me. I've learned to love this series as the years go by and now it's hard to think that we'll be saying goodbye to Captain Will Laurence and Temeraire. Thank you +nsam85. I hope that is definitely true as I would love to read how this series ends. Thanks.